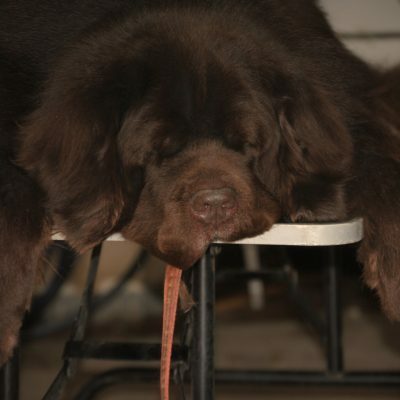 When Leroy was sick I ran into many obstacles that I wasn’t prepared for with a giant breed dog. It’s not that I never thought about it but I just wasn’t prepared to have a debilitated dog as soon as I did. Helping him up was nearly impossible and getting him into the car without a dog ramp or dog steps proved to be impossible for me alone. It was scary and frustrating and a huge wake-up call. We got a ramp. We got a lift harness. We made alterations to our home. Of course, by the time we had all those items at our disposal, Leroy was on his way to recovery and our need for them wasn’t as dire but I know they will be needed again in the future. Before our lift harness arrived in the mail we used a towel to help Leroy up. It worked in a pinch but it certainly wasn’t ideal. 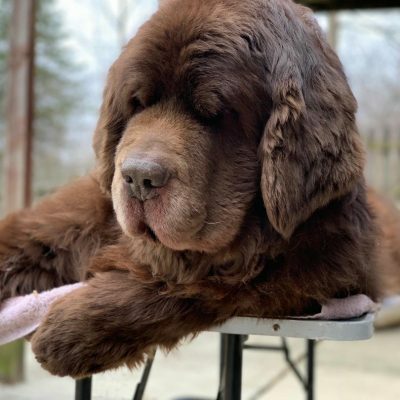 A towel is hard to grip on the sides when you’re lifting a 130-pound dog. A small towel won’t do because it doesn’t fit around a big dog. A towel puts a lot of pressure under the belly, an area that was already sensitive in Leroy’s case, when your lifting. Not to mention the tension it put on my back. But what other options do I have when I need a dog sling in a pinch? 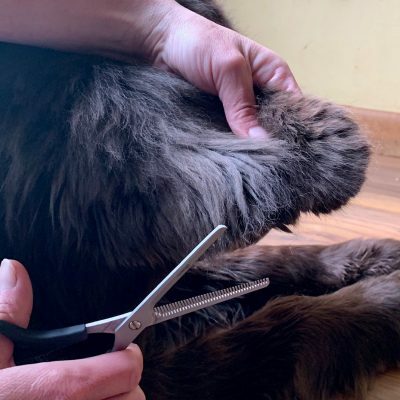 Well, a few weeks ago I saw this genius and simple idea pop up in my Facebook feed from Dunnville Animal Clinic and I wanted to share it far and wide so others may be able to benefit from this if they ever find themselves needing a dog sling in a pinch. 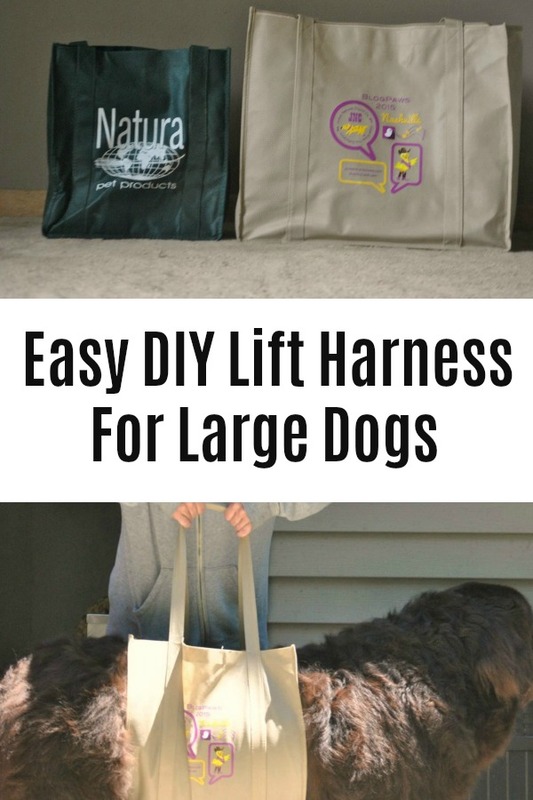 Make a shopping bag into a temporary DIY lift harness for large dogs. I thought it would work so I put it to the test. First I searched my house for the perfect shopping bag. Of course, a small one isn’t going to work on a BIG dog. But I had the perfect one. It’s HUGE and while I was little sad about cutting it up, the zipper was broken from holding too much swag and I figured it was being used for a good cause so it wouldn’t mind be sacrificed. All I did was cut the sides off, removed the zipper and I had a dog lift harness. It took me less than 3 minutes. It fits on my 170 pound dog and it holds him. It was kind of hard to lift him since he doesn’t need it right now but I have no doubt that it would hold him, temporarily. As I was lifting I listened to hear if the stitching was holding and I didn’t hear anything tearing and the whole bag was fully intact when I was done. Of course, Leroy thought I was I was a little wacko and making himself dead weight but that tested the durability even more in my opinion. I don’t think this type of lift harness should be used permanently and it definitely would have to be a heavier material, but I do think it would work great in a pinch and I wish I knew about it last year. I think it would of been a lot easier on Leroy and on me until our real lift harness arrived. It’s a great option when the unexpected happens and you’re not prepared. Folding a large bag in 1/2 would work also. I tried this after the fact and it doesn’t go as high up on the chest which might work better for some. 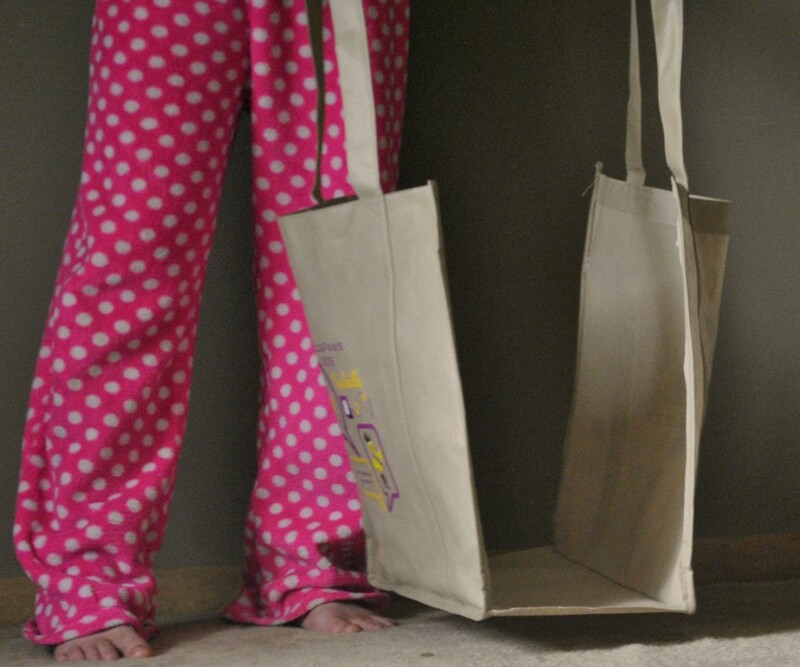 Canvas bags will be more durable and probably more comfortable than plastic bags. Keep one in your car for older dogs who have trouble getting in and out. This looks so handy for large dog owners. Helping a large dog who is not able to walk can be frustrating. Great idea. Most people do have these types of bags hanging around. It is. I learned that first hand when Leroy was sick and was so weak he could barely walk. We ordered a sling for him but had to find a way to help him up until it arrived. I saw that on Facebook the other day and saved it to my timeline. It is a great idea! I know! I had to save it and try it before I forget! Love this idea! Hopefully you won’t need to use the sling again, but what a clever idea. I hope not too but I’m sure in the future we will since the boys aren’t getting any younger. I wish I could find a way to make that happen! Ha! I am not but the person who originally thought of this is for sure! Mom lifts Katie in and out of the car and carries her on stairs these days, but she is only 80 lbs. 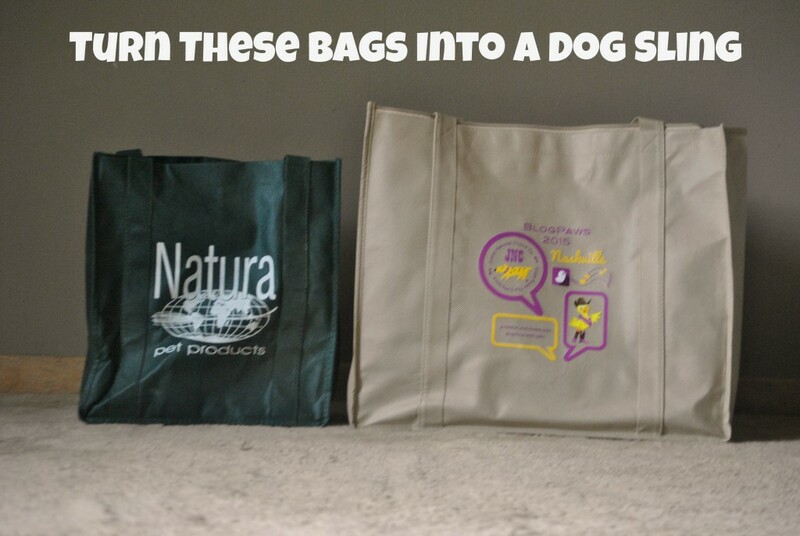 The idea with the BlogPaws bag is absolutely genius! 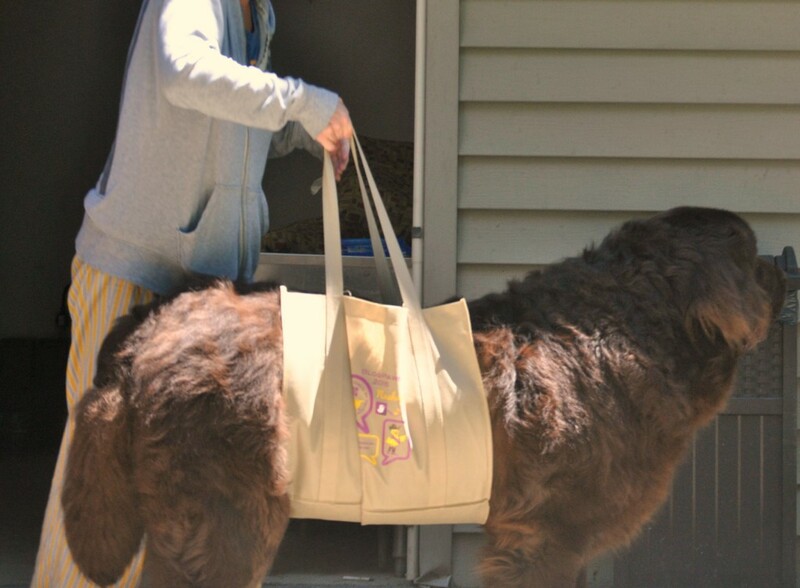 The BlogPaws bag is perfect for this and larger dogs isn’t it? 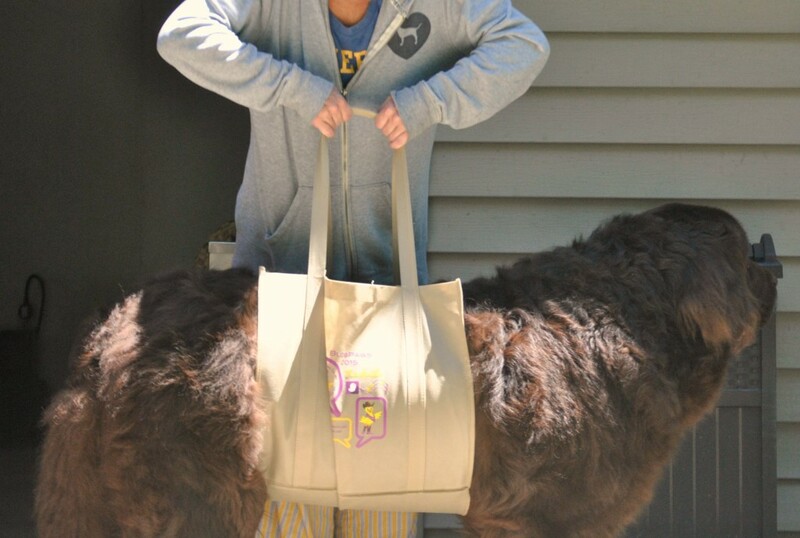 I have so many reusable bags but not many that are this big! Creative solution to a very real problem! I thought it was too. Love ideas like this! This is such a great idea! Haley’s been having some issues with arthritis and a stretched ACL. I’ve wondered before how I would handle it if we were out on a hike and she re-injured her leg or was limping badly. I certainly couldn’t carry her very far. I might try to find a lightweight bag made of sturdy material that I could fold up and carry with me in case I needed it. Fantastic idea, thanks for sharing it!! I’m sorry to hear about Hayley. After I saw this I made one and put it in the car just in case…because as we all know, you never know what can happen and I could never carry one of the boys! GIRLFRIEND – You’ve missed your calling, you should be on SHARK TANK!!! That is one fabulous idea. Love it! Hahaha! Somebody else thought of this one before me! Darn it! June Wilson sent me your idea. I am going to make one first thing in the morning for my Brandy Girl. She is unable to use her front legs due to a disc injury to her neck. Thank you so much for this idea. I pray it will work for us. God bless. It’s 2 years after you posted this , but I am in a pinch with a 70lb dog with back legs giving out. You saved the day tomorrow going to the vet! Thank you! I wish I saw this post a few months ago when Linus got sick. He was having trouble walking and I wanted something to help support him when he wanted to walk around the house or go out to potty. I knew about the Gingerlead from BlogPaws. Unfortunately, Linus passed away before I found a solution to help him. By the way, awesome that you were able to put your BlogPaws swag bag to good use.